As soon as I received the drafts from Jan I put them into my OpenOffice document in order to see how they would look like and to get a first impression what file-size the pdf might have. Furthermore, I viewed the pdf on my 7-inch tablet (a Nexus 7, Codename Razor ) using the Adobe Acrobat Reader in order to determine how large the images can be such that they are displayed completely on the tablet when holding it in landscape view. The only image which naturally can't be displayed completely is the cover image as it fills the whole page. In this case the landscape view is more appropriate to look at it. I also determined the size of the font by holding my tablet next to some textbooks. Furthermore, I did a few test prints in order to avoid that the size of the font gets too big if someone actually wants to print it on paper. I came to the conclusion that 13pt is a good trade-off such that the text doesn't get too big on paper and not too small on a 7-inch tablet. I've decided to use the classic Times New Roman font, because it seems to be commonly used for textbooks and US letter for the page format as I figured that the main audience would be in the US. Once I've got the finalized illustrations, an issue occurred which I didn't notice because that "detail" wasn't included in the drafts. Every image having a colored background didn't blend in well when simply being placed into the document the way they are. Being a bit desperate I added a simple black border to the image and put it into the document again. I have the feeling that this looks way better, as this border clearly separates the image from the rest of the document. Unfortunately, there is one image where the black border isn't helping because its background is entirely black itself... the Cyberspace image. My first idea was to use a green font on a black background for the whole chapter. Although it looks cool in my opinion this has several drawbacks which made me to abandon that idea. First, if the background color is suddenly changed from white to black or vice versa the reader is probably stunned (if you want to test it you'll get a similar but not so extreme effect when switching from the daytime- to the nighttime-theme or vice versa in this bulletin board ). I've tried to reduce this effect by adding a gradient from white to black at the end of the previous chapter and another gradient from black to white at the end of the Cyberspace chapter. This had the cool side effect visually underlining Specter's travelling from the real world into the Cyberspace and vice versa when the reader scrolls the document. I've tested it on my tablet as well as on my screen and it worked as intended. But I've noticed that the file-size of the pdf was increased too much as the gradients which were images having a width of one pixel were converted into full sized images. Additionally, the black pages would have been an ink cartridge killer if a reader would have dared to print them. Again being a bit desperate, I've added a white border and then another black border around the image with the white one being a bit broader. This way I've created a border similar to those used for comic panels. I think this is a good trade-off for this kind of situation. This comic panel border also saved my day when I integrated the reflex room illustration (chapter 9) which shows three scenes in one. Originally, I wanted to have the images right next to each other using a transition effect blending them from one to another. But Jan didn't find a transition that worked well with his images. So he simply placed them right next too each other. I have to admit that I was disappointed with that, as the arrangement (NOT the images themselves!) looks rather poor in my opinion, especially when it's placed in a document without having borders around the images. As these images have colored backgrounds too I've started to add comic frames around them as well, hoping to find a solution for the arrangement problem while doing that. Luckily, I found one. At some point I had the idea that I could rotate the images a bit and let them overlap each other like some photographs which have been placed on a table without having them aligned properly. This way I separated the backgrounds from the rest of the document again AND I made this scene look way more interesting and professional (at least I hope so ). I showed it to Jan and he agreed with me. You might have noticed that there's a deviance concerning the image showing the letter that Matthew reads in the final chapter. In the online version you can see Matthew's right hand holding it, but in the offline version Matthew's hand is missing. This is because I didn't find a good solution to arrange or change the image in a way such that the hand is being displayed without looking weird and/or unnatural inside the document. If the image is placed in the center of the document then Matthew's arm looks like being chopped off. This also doesn't get better when placing the image at the right border of the document such that Matthew's arm "leaves" the page. I also couldn't think of a good fade-out effect for the arm which fits that kind of comic style. Now that I think of it I also could have tried adding a comic panel frame around it, but back then I thought it would be best not showing Matthew's hand at all in the pdf. EDIT: A short side note: T-Bone's signature is based on the one in the image down below while Razor's was chosen by Jan.
My next post will deal with the question how to keep the filesize of a pdf that contains multiple images (with one being a full page image) as small as possible although using png-images. Last edited by Mr. Goodkat on Tue Apr 12, 2016 6:38 am, edited 1 time in total. OpenOffice allows to reduce the file-size of a pdf export by converting the included images into the lossy jpeg-format. As I wasn't sure if OpenOffice actually uses good conversion algorithms I tried to do this manually and set the export setting for the images to lossless. Later I realized that this doesn't seem to change the used image format at all (a png inside the document will also be a png inside the pdf file that way). Since I try to avoid the jpeg format whenever possible I used a technique which is sometimes used in web development in order to reduce the file-size of a png without changing its appearance too much. The principle of the technique is rather simple. It reduces the number of available colors down to 256. Using this, I reduced the total file-size of all pngs from about 11 MB down to 3 MB. You will notice that there actually is some visible color loss in the cover image for example when taking a closer look at the gradient used for the sky in the background. This color loss is quite natural as a gradient uses lots of different colors which are too much for a 256-color palette to handle, but I assume that 95% of the viewers don't notice it in this image. You probably won't see a difference when looking at the other images which don't have gradients, as Jan only used a limited amount of colors that could be converted into a 256-color palette quite well. This technique can be very helpful to reduce the file-size of pngs, especially when they can't be converted into the jpeg format because they include transparencies (which aren't supported by the jpeg format). You might think now: "Why didn't you still use the jpeg-format? None of your images necessarily needs to have transparency. In fact, most images simply have a white background." Well, first of all, lossy jpeg images always have artifacts which I tend to see in some cases (and therefore dislike very much) and second, when I display the images as pngs in the Acrobat Reader on my tablet, they are processed way quicker than jpegs for some reason. Moreover the jpegs are displayed in a low quality version on the tablet first which looks rather ugly until the high quality version has been processed for display. If you like to try this technique yourself I show you how I did this. First you download a program called RIOT (Radical Image Optimization Tool). Make sure you download the portable version (zip-archive) and not installer as the latter contains some suspicious ad-software thingy. Please note that this tool is only available for MS Windows. When you've finished installing the tool and have started it you should set the preview mode to Manual. Otherwise the preview (which is actually the result you gonna save later) will be generated every time you change a setting which can be very time consuming. Then you load the png file which you want to have to be reduced. If you are using a large image you gonna be asked if you want to resize it first. Select No as we want to keep the resolution of the image. Note that the file-size of the Initial image is displayed above it after it has been loaded. When everything has been set up properly hit the Preview-button in order to generate a preview. Depending on the image resolution and the performance of your computer this might take a while. When this is done, you see the file-size of the Optimized image displayed above it now. There are some buttons located between the two images that allow you to compare both images. When you're satisfied with the result save the image (make sure that you don't overwrite your original image!!!). After you're done with this you can additionally use PNGGauntlet to reduce the file-size a bit more if you like. This program doesn't perform any lossy changes, but removes some unnecessary data from the png. In combination with RIOT you probably only save a few more bytes, so it's not really necessary. If you own PhotoShop you can alternatively try a plug-in called SuperPNG which uses techniques similar to RIOT. As I don't own PhotoShop (and actually don't really need it) I didn't do any comparison tests so I can't tell which one might actually be better. When you take a look at the gradient of the sky and the trails of the drones you see that the transitions between the colors look dirty. This is because the gradient in combination with the motion effect on the buildings need way more colors than a 256-color palette can provide (without having the motion effect on the buildings the colors can be reduced still be looking okay). In such a case I would use the jpeg format, of course, as I don't want to force people downloading images (or pdfs) having a extremely large file-size. Select lossless compression for the images and check PDF/A-1a in the general-section as this also copies the font data among some other information into the document which might be helpful if a future version of the acrobat reader or alternative pdf-readers not having this build in. This actually increases the file-size, but not dramatically and this more than compensated by the file-size reduction of the images. You can uncheck all the other settings in the general-section which are still available. This concludes part 2 of my retrospection. Stay tuned for part 3. Mr. Goodkat wrote: In such a case I would use the jpeg format, of course, as I don't want to force people downloading images (or pdfs) having a extremely large file-size. Do you still have the original Word / Open Office document? I'm curious to see how Acrobat Pro handles the compression in a PDF conversion. I've had documents go from several hundred MB to around 500kb before. MoDaD wrote: Do you still have the original Word / Open Office document? I'm curious to see how Acrobat Pro handles the compression in a PDF conversion. I've had documents go from several hundred MB to around 500kb before. I've send you an email with the odt-file. I wanted to get the best out of everything, so thanks for that comment. In the first test he converted a word document into a pdf and in second one he converted my pdf-export. In both cases Acrobat Pro was able to convert everything into a pdf having about 1 MB (the pdf available for download has about 4 MB). But this file-size-reduction has its price, as you can see when you compare the following images (please click on the image to enlarge it to see the details). It's been a while since my last post in this thread and besides working on other things, I needed quite some time to think about how I'm gonna approach this part of my retrospection, since emotions are involved which often can't be translated into text so easily. I also realized that it'll probably be a challenge to do this, as I might sound arrogant at some points. So, before starting with this I think it's very important to point out that I'm satisfied how the story performed by now, although I had higher expectations at the beginning. These expectations are gonna play an important role in the following posts and my intention with these posts is to elaborate why some things didn't turn out like I had expected. I hope that by writing about it I'm not only sharing my insights with you, but also get an even better understanding of them myself. When you continue reading this thread, please have in mind that my personal view and my opinion changed over time. This is especially important as long as this part of my retrospection is a work-in-progress, since you'll probably only going to see the full picture of it when my train of thoughts has reached its destination. So before you make any conclusions about my person because of some of my statements which are going to follow, I ask you to lean back and enjoy the ride on that train before doing that. What should you expect from the readers? And what about the statistics? Don't look at them! They just gonna ruin your day. But I think having this kind of attitude can be quite helpful to save yourself from unrealistic expectations and unnecessary disappointments (although maybe not having such a radical attitude than I just showed ). I have to confess that I started to have some unrealistic expectations at least since the time when I decided to add illustrations to my story. Or maybe this has started even earlier when I realized that I would be able to release a complete extensive story of which I was very confident (and still am) that it's good. My only concern at this point was that I didn't trust my English completely. Wow, only about 6% of all SK stories can compete with that length (more than 40.000 words)! I think I got a really good story here and it's the only one having illustrations included! It's also probably the only one that is supposed to be downloaded as a pdf and is lay outed nicely because of that while all the other stories are just presented as cheap standard HTML texts. And it's complete! Not like one of those incomplete thingies you can find loads of on FanFiction.net or SKFFA (SWAT Kats Fan Fiction Archive) that will never see a decent ending. AND with so many SK fans out there being ravenous for more adventures of T-Bone and Razor they probably can hardly resist something like that. They gonna want to HAVE IT! They gonna ask for MOOOOORE! They gonna give me the keys to... MEGAKAT CITY!!! <Cough> Alright, alright, now I'm overexaggerating... <Harrumph> I'm sorry. Anyway, when I got in contact with MoDaD and he supposed that War Games should be a fan fiction project of its own, having its own sub-domain on swatkats.info and being announced across the social media, my heart jumped for joy. Not being an active member in this bulletin board back then, I leaned back and watched how people responded to MoDaD's announcement. The initial reactions had been positive although I hoped that a few more people would have replied on it. 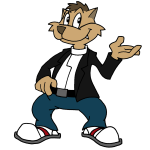 A short time later I decided to introduce myself in this forum and also on swatkats.us and received a very warm welcome. But although some people said that they can't wait to get their hands on it I never received any kind of feedback from them. At swatkats.us I got about three responses of which one actually included interesting feedback for me. It was getting even more depressing when I looked into comments on the page itself. Besides from a comment by MoDaD in the foreword there was nothing (and still is today, except from a few from another SK fan I don't quite get, with some of them looking rather like self-advertisement to me). When I started writing the story I told myself that I'm going to do this for my own pleasure of writing and if someone else will gonna like it, it's a bonus. 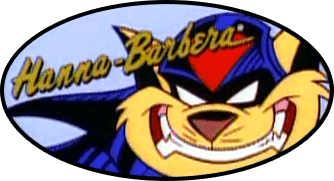 But the expectations started to grow slowly inside of me and probably reached their maximum when it became clear that it would be released on swatkats.info, a website that shows up on the first page when googling it. I'm well aware of the phrase "no news are good news", so I thought (and still think) that many readers don't write any comments as they haven't got the time and/or leisure to write a comment. In my experience people normally comment things which they are actually being really disappointed of. So I thought (and still think) that it's better receiving not much feedback instead of getting people mad at you because you've just ruined their childhood or something like that. But nevertheless, it's not really satisfying if you don't know if people have enjoyed it or not. So in my next post I'm gonna write about why my day was actually ruined. Until then, I invite you to listen to this nice little song by Celldweller: Down To Earth (->lyrics). That one actually inspired the title of this part of the retrospection.